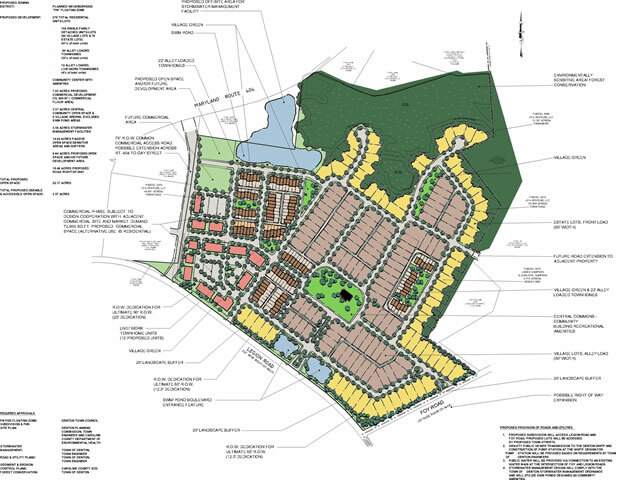 The Vineyards is a mixed use commercial and residential community planned in traditional neighborhood design. Open space parks, alleys and stormwater management facilities enhance the site design. Housing types, landscaping and open space areas provide a transition from residential to commercial land uses. Forested wetlands are protected from development and provide a buffer from the adjacent state highway, MD Route 404.